Elegant, stylish and built to last, the GROHE Eurostyle Cosmopolitan basin tap is a versatile bathroom tap you can trust. It has a handy pop-up waste and cutting edge ceramic cartridge that allows you to control water temperature and flow with smooth precision. Crafted in a contemporary design, it has a scratch resistant GROHE StarLight chrome coating that is easy to clean and will sparkle for years. 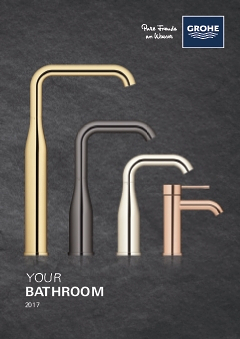 GROHE Eurostyle Cosmopolitan – blending timeless style and premium performance for the pure enjoyment of water! A unique design proposal for modern bathrooms.